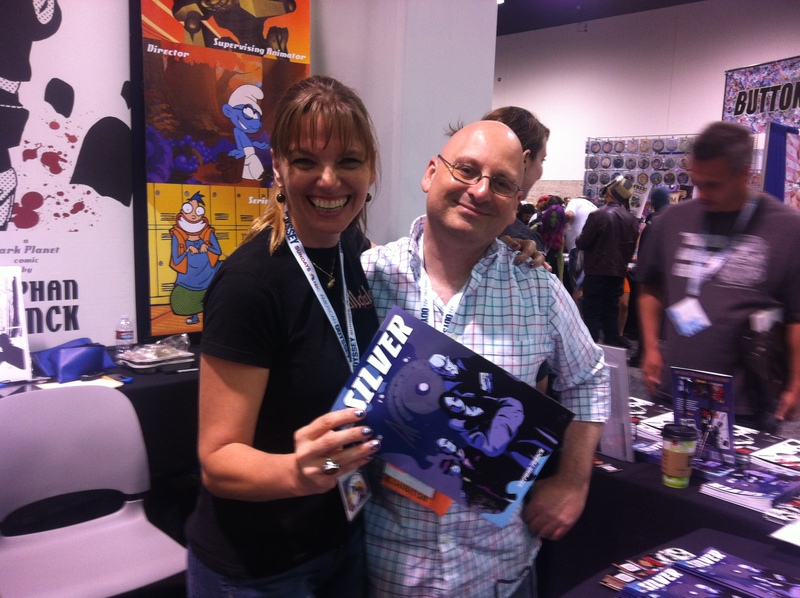 WonderCon 2015 was awesome as it was a last minute surprise trip for me. Sporting my Hullabaloo tee yesterday I encountered some incredibly good cosplay amongst my absolute favored 2, Angie and Caitlin in Super Anna and Elsa outfits that rocked. Super Anna & Elsa to keep Arendelle and the world safe. As I said this one was a surprise since I had not planned to go and my very best friend Jen only mentioned on Thursday that she got me a guest ticket. 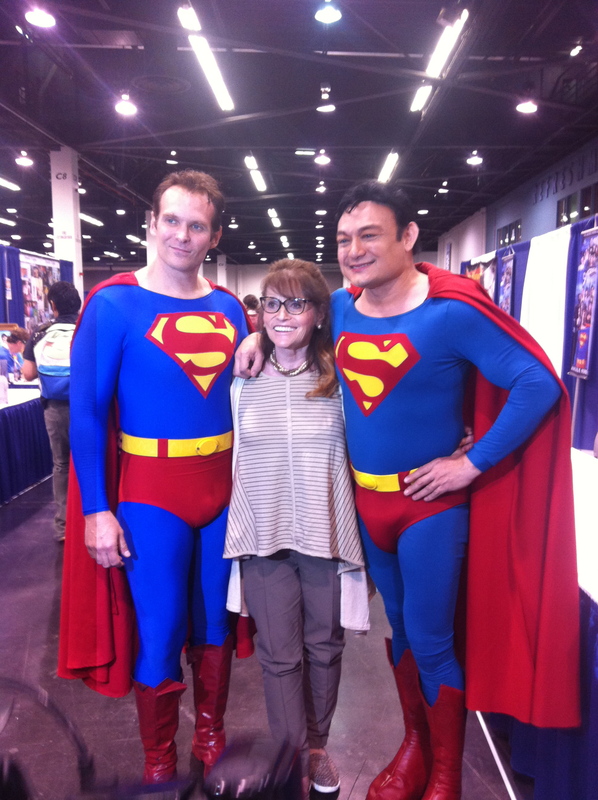 So it was lucky I had a day off on Friday and we spent all day in the mayhem that is WonderCon. 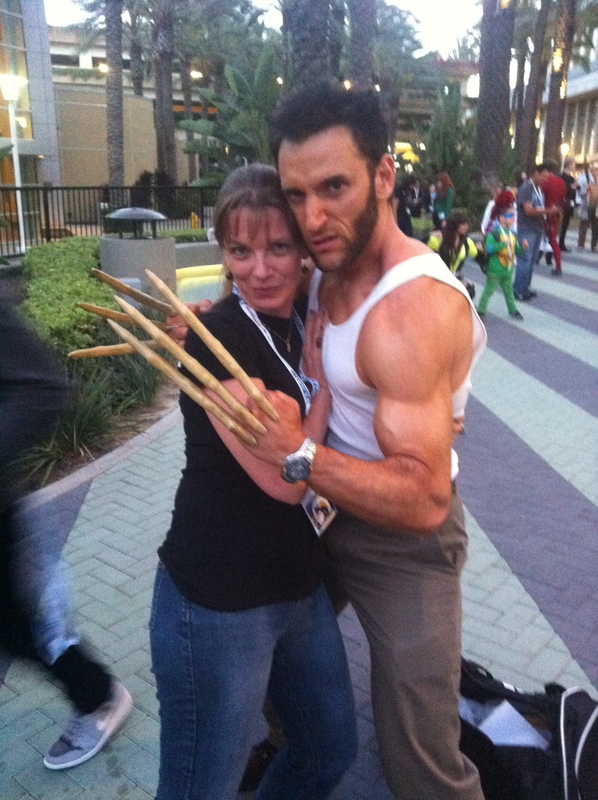 Logan the Wolverine, aka Lonstermash, keeping me safe. It was so much fun and I saw some of my very dear friends at their booths, where I got a couple of treasures. 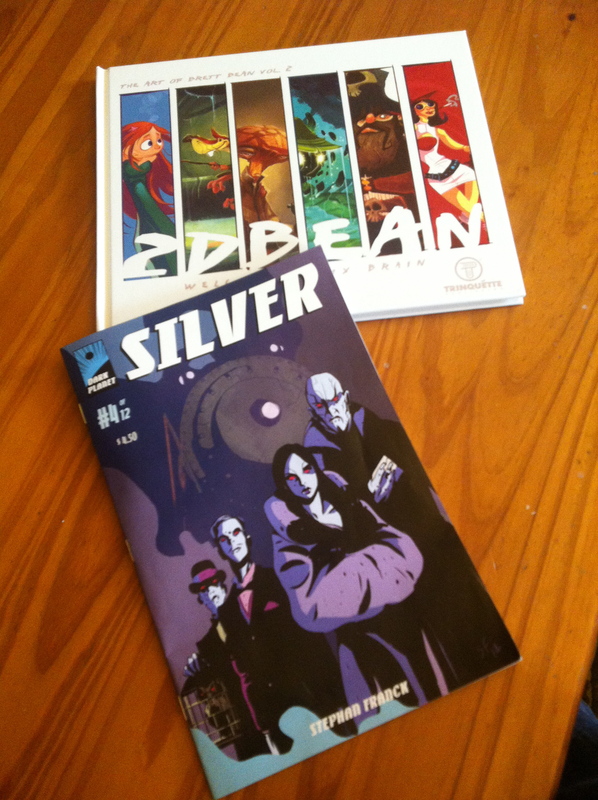 One from Brett 2D Bean, his art of booklet and one from Stephan Franck, volume 4 of his dark comic Silver. It was overwhelming as usual and it took us all day to get thru to the other side, what with all the artwork and knick knacks to look at and getting distracted a million times by all the costumes and people. So all in all a great adventure and fun and I even met up with an old friend that I had not seen in a while. This was such an inspiration and recharge moment and sorely needed. 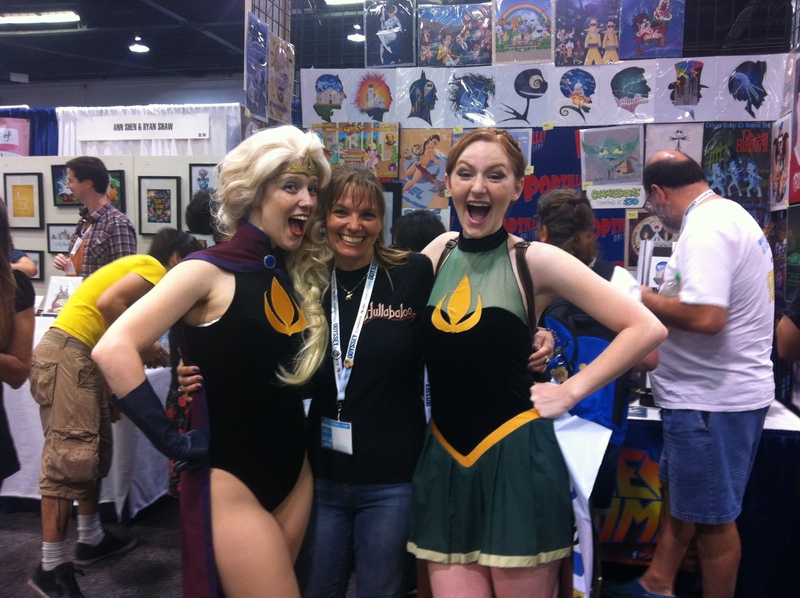 WonderCon is such a great atmosphere and everyone just wants to have a good time. Where else in the world can you be a kid and a geek at the same time and see icons of the Silverscreen you grew up with or meet the characters that impacted your life. It is incredible how much detail some go into to give you that experience and everyone is really approachable and happy to pose for pictures. At the end of the day I even saw Lois Lane from the first Superman Movie I grew up with, still spunky and charming and bewitching two wanabe Supermen, just as she did with the original. So I guess I’ll give this day an 11/10 for awesomeness, fun and total surprise. The WonderCon is on till Sunday at the Convention Center in Anaheim, but it will be back next year in April as it always does. So do yourself a favor, if you like this sort of stuff, and go see and experience it for yourself. It is just as great as ComicCon in San Diego, but easier to get in to as it is a bit smaller and more manageable, especially if it is your first time. This entry was posted in Animation, Art and tagged Anaheim Convention Center, Angi Viper, Animation, Art, Beauxbaton, Brett 2D Bean, Caitlin Postal, Cinderella, comic book art, comic books, Comics, Cosplay, costumes, Dark Planet Comics, Edward Scissorhands, Fleur Delacour, fun, geek, geek heaven, Lois Lane, Lonstermash, Margot Kidder, Movies, series, Silver, Stephan Franck, Superman, Wolverine, WonderCon. Bookmark the permalink.